“Mama, you have so much stuff and you never wear it,” my little one said ever so casually, as she passed by my closet. Her comment gave me an unexpected jolt! 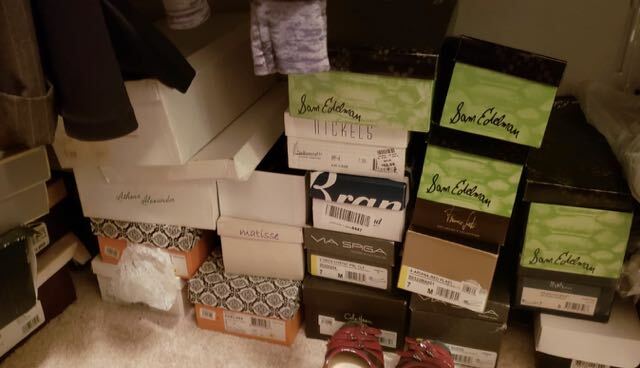 I quickly glanced at my closet and in that moment realized the words my 8 year old had nonchalantly uttered were true. How did I accumulate all this stuff that I hardly wear? Why am I compelled to shop for things even when I know deep down I don’t need them? Why do I need to buy a new outfit every time I have to attend an event? Why can’t I grab something that’s already in my closet? Why do I have clothes or shoes that I’ve only worn once or twice? Why do I need to buy something to make myself feel better? What kind of message I’m I sending to my daughters? What void is all this stuff filling in my life? How did I get sucked into the consumerist culture where you buy stuff just because you can? See, I didn’t grow up owning much stuff. At any given time, I had 5 outfits and 2 pairs of shoes, tops! Now, my closet is bursting at the seams with tons of clothes and boxes of shoes. Could not having much be the main culprit of my shopping habits? Maybe, but I felt compelled to do something. I vowed to take a break from shopping for unnecessary stuff for 6 months. I knew it would be a challenge because (1) I would have to continue shopping for my daughters when they needed something (that’s when the allure of sale items happened the most, – hey don’t judge! It’s hard to ignore a $7 shirt! 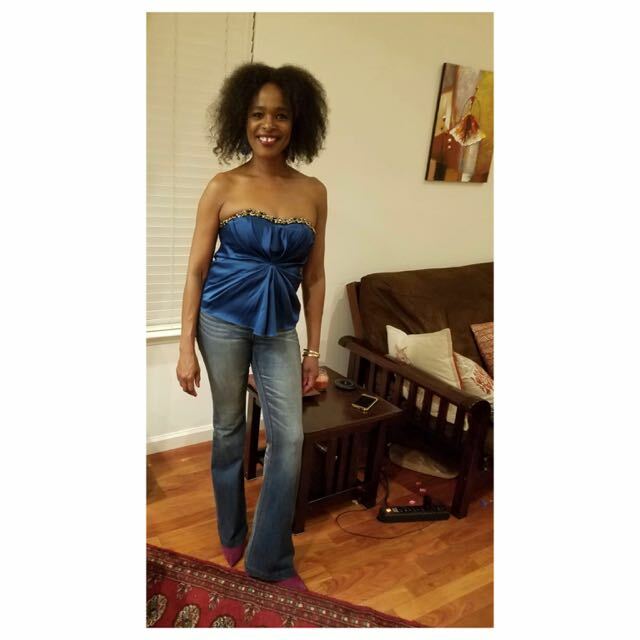 ), (2) I’m a fashionista who enjoys following trends, and (3) I had a few events lined up for the rest of the year, including a Michelle Obama “Becoming Michelle Obama” book tour, South African choir concert, Women in the Workplace Conference, plus a retirement, birthday, and engagement party. But I love a challenge so I eagerly set out on my 6-month shopping hiatus. Fast forward to today, I’m a little over 3 months into my challenge (baby steps people!) and happy to say I’ve been shopping free! It hasn’t been easy! There’s plenty of temptation everywhere – malls, online, social media (have you seen Instagram lately! ), TV, magazines, New York Fashion Week, and more but I’m doing it! 1. Share your challenge with family (even your kids if you have any) and friends. It’s harder to cheat (yes, the thought crossed my mind) when those around you know about your challenge and can hold you to it. 2. Track the money you’re saving each month and take note of how much more you have in your pocket. Trust me, nothing makes you more giddy than seeing some extra cash in your bank account. 4. Change your perspective on the lovely clothes and shoes you find online or in store, which tempt you to make an impulsive purchase. Whenever you run into something you like, view it as eye candy. Allow yourself to enjoy it but not to own it. Look, touch, heck, even try it on if it’s that good but put it right back on the rack. 5. Repeatedly affirm to yourself when you’re tempted to buy something that you’re disciplined and capable of controlling your impulses. 6. Share your challenge with as many people as you can! Telling my story to you, our loyal readers, keeps me on task. It’s easier to keep your word when thousands of fans are aware of your plan. Also, your family and friends will be there to support you when you’re about to falter. Case in point, last week, I dropped by H&M with my daughter to get her blue jeans. While browsing, I saw this gorgeous shirt on sale for $5. I picked it up, showed it my daughter and asked for her opinion. Although she thought it was cute, she instantly realized I was pondering a purchase so she said “come on mom, you can do it. Just put it back.” Who knows what the outcome would have been if she wasn’t there to cheer me on and keep me honest? Let’s just say, a $5 dollar sale is hard to resist even for the most disciplined but her nudge was enough to help me abstain from it. I’m halfway through my challenge and I’m already feeling good about my decision. I’ve realized that I can do without pretty much most of the things I buy. I’ve determined that I have everything I need to pull together a smashing outfit for any event. This top Is a 10 year old hidden gem from my closet. Perfect for a girls night out. I’ve resolved that I don’t need retail therapy because I can relieve stress through the other activities that I already do like yoga, exercise, dance, and hiking. I’m empowered with the knowledge that I’m being a good role model to my girls. After all, children do what you do not what you tell them to do. Owning up to a habit that needs to change is tough. Breaking it is even tougher! Even though some of my questions are still unanswered, my experience has validated that with the right mindset and strategy, anything is possible. And if you’re like me and don’t mind having a little bit more money in your pocket, open to the idea of closet shopping, excited about getting creative with what you already own, love setting a good example for your loved ones, or just down for a challenge, give it a try! I promise it will be worth it. I’m eager to update you in 3 months when my challenge ends. Perhaps at that time, you’ll have started your own challenge. Of course, we hope you’ll share your experience with us and our readers so we can be inspired. Let’s go gapmusers! Good luck. This is so true. All of us have a tendency to hoard unnecessary stuff. I also wrote a blog on this. Absolutely! What was the title of your blog post? Would love to read it too! Thanks, Manu! Thank you for sharing. Looking forward to reading it! Great blog by the way!